Taken by Tim Isaac at Rising Tides Fest, Alma NB, Fundy Park. Taken by Tim Isaac during the Rising Tides Festival, Alma NB, Fundy Park. The best performance I’ve had the pleasure of sitting and listening to in many many years. The most telling fact about pianist Kim Dunn is that he played piano in the "house band" at the Metro Centre for the Asian Relief concert last Tuesday. He hardly ever got off the stage. It's not something just any professional keyboard player could do. The concert took shape so fast that what with sound checks on the Sunday previous as well as on the day of performance, little time could be spent rehearsing. When you go to concert, you want to hear the star: Bruce Guthro, Matt Minglewood, Rita MacNeil, or whomever. Most people won't give a thought to anyone else onstage, but these singers make music with the help of their band. If you looked to the left of the stage with all three of these artists, chances are the keyboard player would be Kim Dunn. From the Northside, his ability with any style of music has made him one of the hardest working sidemen in the business. 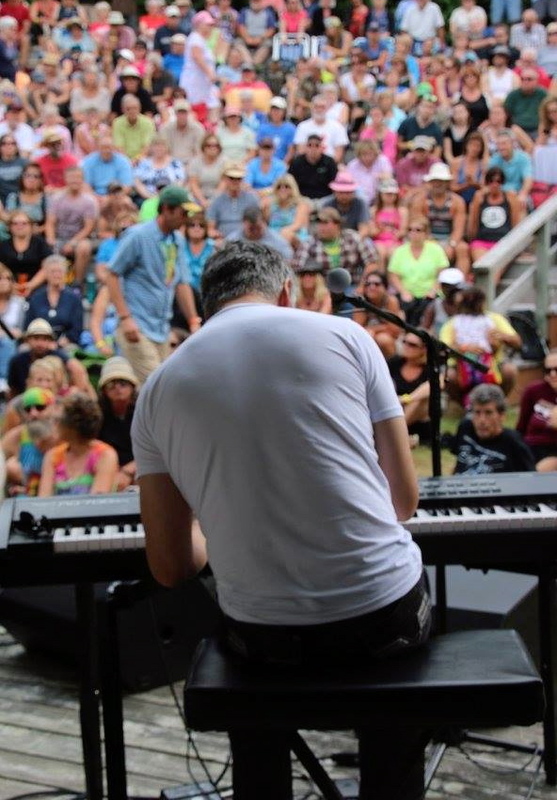 It’s conceivable I’ve seen Kim Dunn perform more than almost any other East Coast musician, as the go-to man on keyboards for artists like Matt Minglewood, Rita MacNeil and Bruce Guthro. But when I heard the North Sydney native take the spotlight at the recent Tunes for Troubled Times concert at the Rebecca Cohn, to sing the Great Depression-era pop standard No Love, No Nothing, it was something of a revelation. His soft, understated croon brought the decades-old song to life with just the right mix of blues and soul, making me think that Dunn had been hiding his light under a bushel for far too long.